Mark was born in Glasgow, Scotland, on the 12th of August 1949. 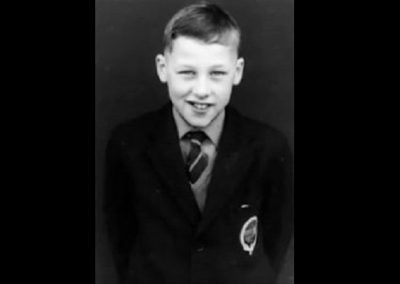 He was around seven years old when the Knopfler family moved to Newcastle-Upon-Tyne in the North-East of England. Mark attended Gosforth Grammar School. As a young boy he was inspired by his uncle Kingsley’s harmonica and boogie-woogie piano playing. Later, in his teens, he set his heart on an all too expensive flamingo-pink Fender Strat, just like Hank Marvin’s, but in the end had to settle for a £50 twin pick-up Hofner Super Solid. 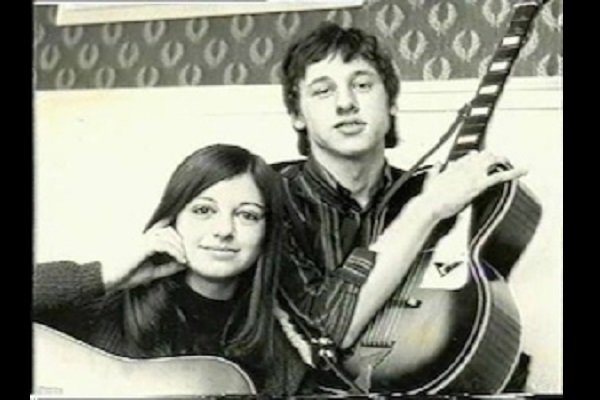 At sixteen he made a local TV appearance as half of a harmony duo along with school-friend Sue Hercombe. 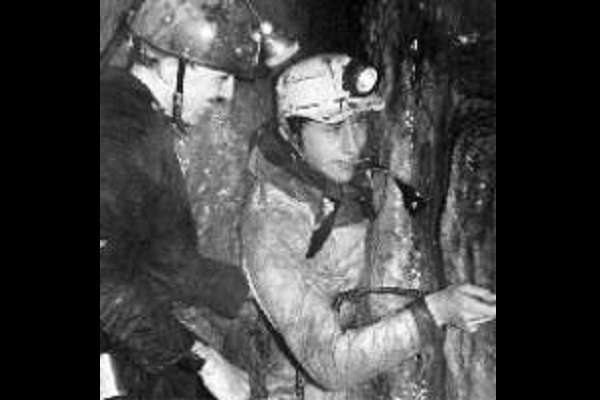 In 1967, he went to study journalism for a year at Harlow Technical College and at the end of the course secured a job in Leeds as a junior reporter on the Yorkshire Evening Post. Two years later, he decided to further his studies and commenced a degree in English at Leeds University. 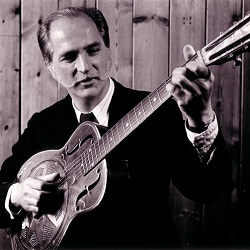 During this period he teamed up with Leeds bluesman, Steve Phillips, the two performing together as the Duolian String-Pickers. 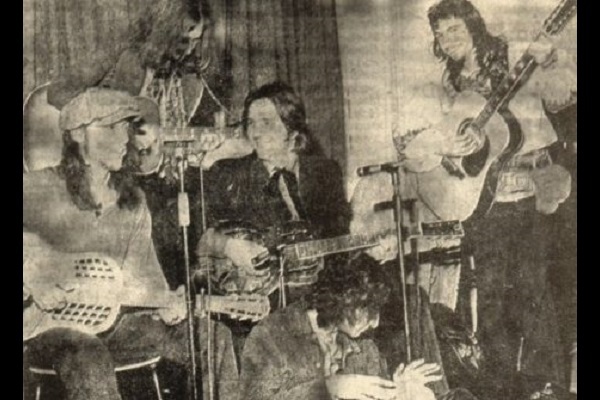 In April 1970 Mark records a self-penned song called Summer’s Coming My Way at Harding studios in Pudsey, Leeds, with among others Steve Phillips on 12-string guitar. 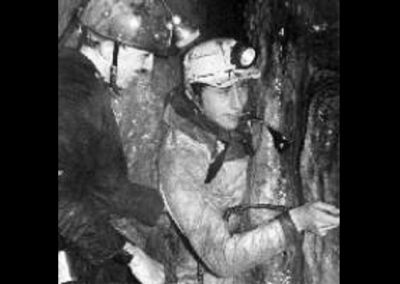 On graduating from Leeds University in 1973, Mark decided to go to London and try to break into the rock scene. He scanned through the music press and answered the biggest advert he could find in Melody Maker. That led him to an audition and a two month stint with a blues band called Brewer’s Droop. 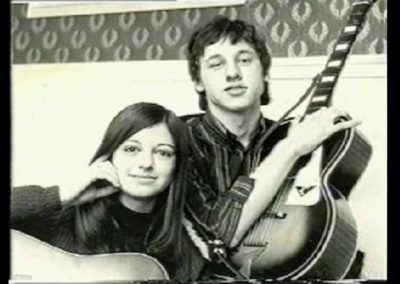 Mark took up a job as a lecturer at Loughton College in Essex and went on to form a working band with friends at the college calling themselves the Café Racers. 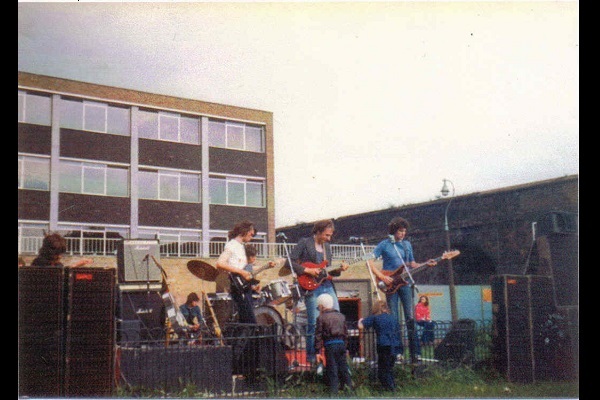 Meanwhile, Mark’s brother, David, moved to London and shared a flat with Leicester-born bass player John Illsley at Farrer House on Deptford’s Crossfield Estate, South-East London. 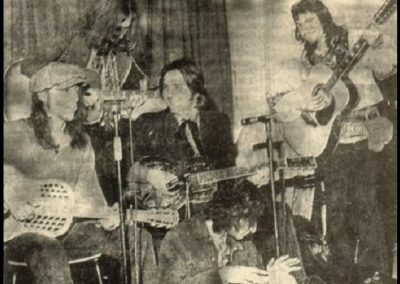 During his period with Brewer’s Droop Mark had been impressed with drummer Pick Withers, so Pick was invited to the Farrer House flat and the four musicians – Mark, John, David and Pick – began doing gigs together under the name of Mark’s old band, the Café Racers. 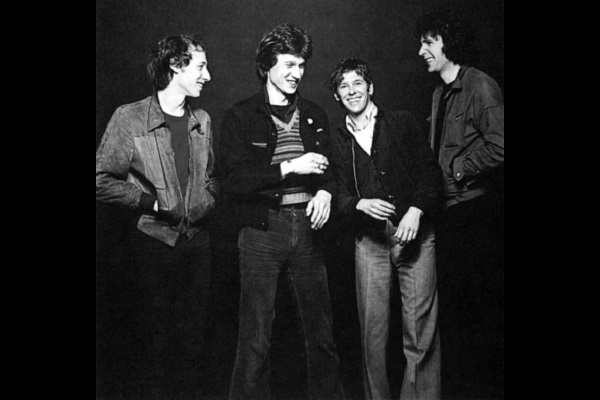 A friend of Pick’s suggested a new name for the band – Dire Straits. 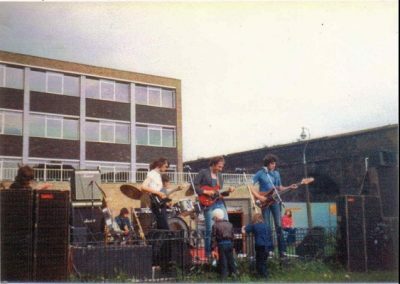 The first Dire Straits gig took place on the open space at the back of the Farrer House flats, the electricity provided by a power cable running from the stage into a socket on the wall of John and David’s flat. 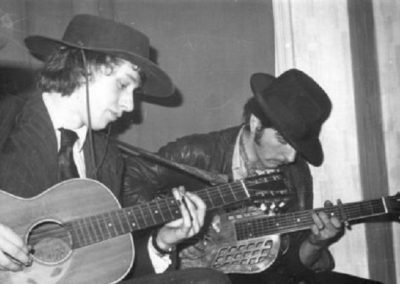 On the 27th of July 1977, Dire Straits recorded the now famous demo tapes of five songs – Wild West End, Sultans of Swing, Down To The Waterline, Sacred Loving and Water of Love – at Pathway Studios, Newington Green, Islington, North London. 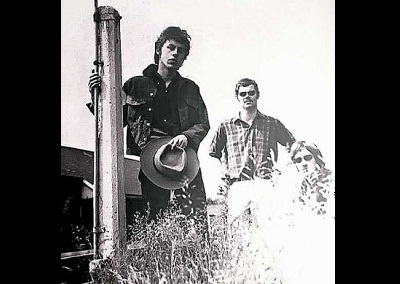 In what was probably October, they recorded Southbound Again, In The Gallery and Six Blade Knife for Radio London at the BBC’s Maida Vale Studios and, finally, back at Pathway on the 9th of November, demo tapes were made of Setting Me Up, Eastbound Train and Real Girl. The demo tapes were given to BBC Radio London DJ Charlie Gillett. Charlie played the tapes endlessly calling upon record company executives to sign this new band: enter John Stainze and Ed Bicknell. It is said that Phonogram A&R man Stainze was in the shower listening to the radio when he first heard Dire Straits. A few weeks later he signed the band to Phonogram’s Vertigo label and Mark secured a publishing deal with Rondor Music. Towards the end of 1977, Ed Bicknell was invited round to Phonogram’s offices where he listened to the Charlie Gillett demo tapes. On the 13th of December, 1977, Ed was taken to Dingwalls Club in North London to meet the band. 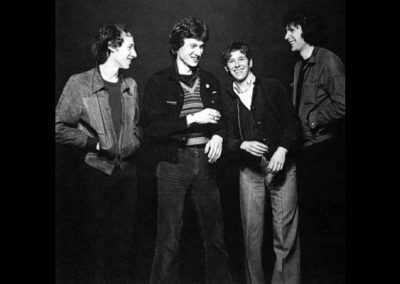 Shortly afterwards, Ed became the band’s manager and was able to place his new band as support act; Dire Straits were to be paid £50 per night for the Talking Heads tour, a ten-fold increase from their £5 fee at Dingwalls.